There is more to the American West than meets the eye. Discover highlights of it, including two national parks and three big cities, on this 8-day journey. Follow the lead of the explorers of years past, and head west for a grand adventure through Colorado, Utah and California. 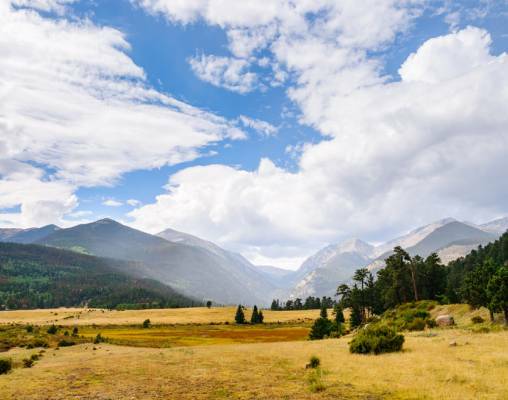 Experience the rugged beauty of the Rocky Mountains and their surrounding national park while in Denver. 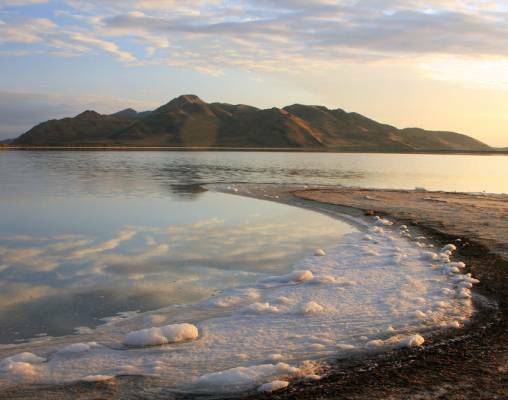 See the Great Salt Lakes and tour the fascinating sights of Salt Lake City. 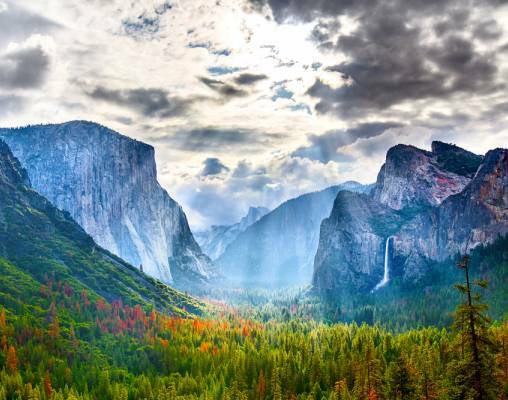 Immerse yourself in the culture of San Francisco, and become one with nature in the majestic Yosemite National Park. 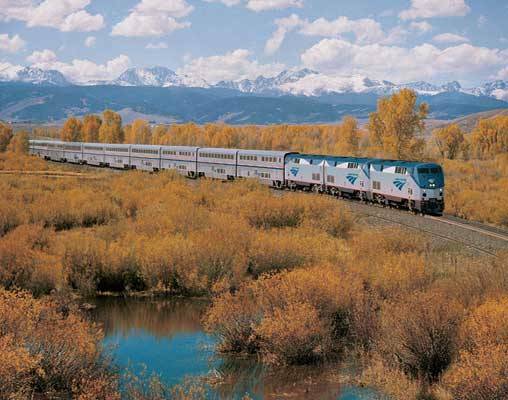 With comfortable long-distance travel aboard Amtrak’s California Zephyr, seeing the country has never been easier. Simply sit back and watch the panoramic views change as you make your way between destinations on this unforgettable rail vacation. 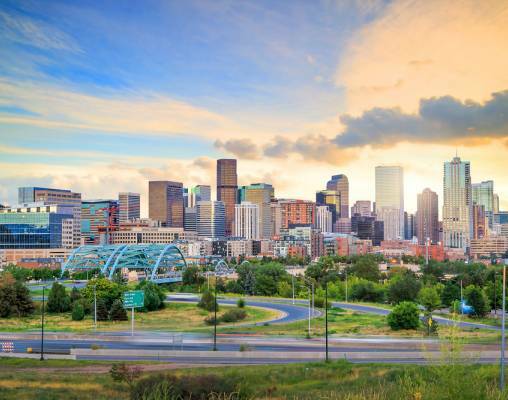 Arrive in the Mile High City, Denver, Colorado and check in to your downtown hotel. The remainder of the day is at your leisure. Overnight Denver. The grandeur of the Rocky Mountains is undeniable; experience it for yourself today. You will be picked up directly from your hotel for an 8-hour tour through Rocky Mountain National Park. On the drive there, the van makes its way through Boulder, follow winding roads past quaint mountain towns and even catch a glimpse of the infamous Stanley Hotel, which was featured in “The Shining.” Inside the park, keep a lookout for black bears, elk, deer, wolves, bighorn sheep and many species of birds as you take in the glorious scenery. You will have an opportunity to get out and explore some of the best viewpoints on foot. A sandwich lunch is provided during the tour. Upon your return, the remainder of the day is yours to experience the city independently. Overnight Denver. This morning, make your way to Denver’s Union Station to board Amtrak’s California Zephyr for a full day’s journey to Salt Lake City. Settle into your seat, and watch the city fade into the distance as you climb through the peaks of the Rockies, wind through valleys and roar along the banks of the Colorado River. If you get tired of sitting in your seat, make your way to the Dining car for a meal or to the Sightseer Lounge car to socialize with your fellow travelers. Perhaps the best part of the lounge car, though, is domed windows that provide amazing vistas from every angle. Look above to see the soaring mountain peaks against the deep blue skies or straight out to see out as far as the eye will allow. The train arrives in Salt Lake City’s Union Pacific Depot late tonight. Overnight Salt Lake City. 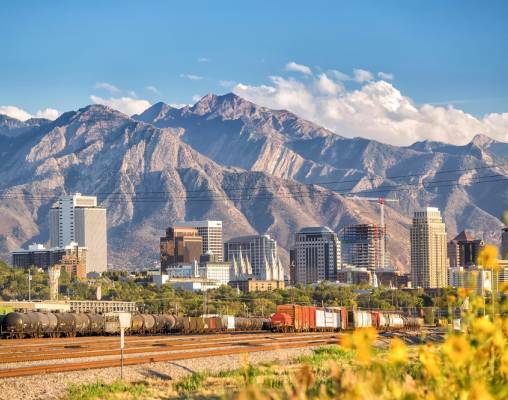 A beautiful town with an even more amazing backdrop, Salt Lake City is full of sights to see. Today you embark on a 3-hour tour through the city to see its most popular attractions. Enjoy looks at Temple Square, the Mormon Tabernacle, the State Capitol Building, Pioneer Village, Brigham Young’s Lion House, remnants of the 2002 Olympic Games and so much more. The rest of the day is yours to explore as you like. There are restaurants, museums, art galleries and shops all around Downtown. Overnight Salt Lake City. 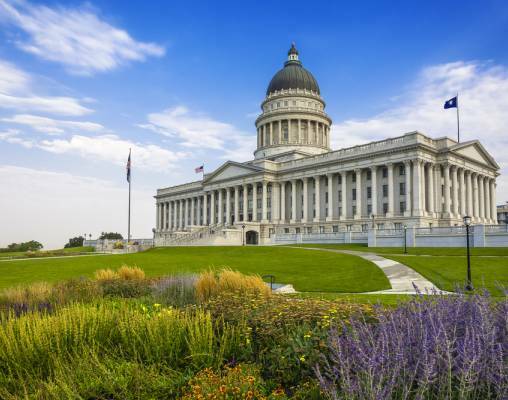 The day begins with another exciting tour through Salt Lake City, yet this time, your destination is the Great Salt Lakes. Over the course of 2 hours, you get a full experience at this amazing inland sea of sorts. Touch the water, or have a dip, weather permitting; take a look at the sea monkeys that live in the salty water; learn about the local ecosystem and take a ride out to the local wetlands habitat to experience more than 250 species of birds. When the tour concludes, you will be returned to your hotel, where it is time to pack up and head back to Union Pacific Depot. Reboard the iconic California Zephyr for a ride through the night further into the great West. Overnight train. Upon waking this morning, the great contrasting landscape of Reno comes into sight. It is amazing how the angular buildings of the “biggest little city in the world” contrast with the natural wonder of the surrounding mountains. As the California Zephyr continues west, the colorful peaks of the Sierra Nevadas give you plenty to see. The train climbs up Donner Pass, before descending and making its way down through California until the California Zephyr rolls into the Emeryville train station. Transfer to the heart of San Francisco and check into your hotel near Fisherman’s Wharf with the rest of the evening free to experience the city. Grab some of the best seafood on the West Coast at one of the Wharf’s restaurants, go see the seals or jump aboard the classic cable cars. Overnight San Francisco. Today, embark on a memorable excursion to Yosemite National Park. This full-day tour includes a scenic walk through the giant sequoias, photo opportunities at Half Dome, El Capitan and Yosemite Falls, and even some free time to hike and explore the park on your own terms. An informative guide joins you as you make your way to, from and through the park to ensure you get the very most from your time in this crowning jewel of America. Overnight San Francisco. Your time touring the expansive West comes to a close this morning. Enter your details below if you would like to be notified when 2020 dates and prices are available for Colorado Rockies to Yosemite National Park.